Prescription medications have saved millions of lives, and for many people, are able to satisfactorily manage the effects of injury or illness. However, conventional medications don’t always work for everyone. 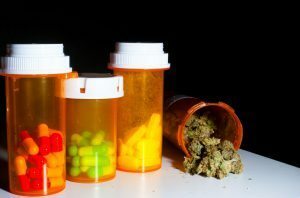 If you or someone you love is struggling to manage a severe medical condition, and prescription drugs have not been able to reduce your pain and discomfort, it might be the right time to consider trying Cannabis, or medical marijuana, as a supplemental treatment. Many patients find that adding Cannabis to their existing treatment regimen has noticeable positive results. At Inhale MD, our goal is to connect Boston residents with a safe and legal path of access to effective and affordable medical care. The practice was founded by Harvard Medical School graduate Dr. Jordan Tishler, who trained at the renowned Brigham and Women’s Hospital, and whose extensive experience as an Emergency Physician includes treating substance addiction and alcoholism. Dr. Tishler is a passionate advocate for patients’ rights, with a special focus on advancing research into new Cannabis therapies. Dr. Tishler is proud to serve the people of Greater Boston and Metro Boston, including Brookline, Somerville, Cambridge, Lowell, Quincy, and Worcester. Please note that Inhale MD is not a dispensary, and does not sell Cannabis products or marijuana paraphernalia: our role is to provide real medical care to real patients, using medical Cannabis. To start talking with Dr. Tishler about whether medical Cannabis might be right for your condition, call Inhale MD at (617) 477-8886 today. Which Conditions Qualify for Medical Marijuana in Massachusetts? Cannabis has the potential to provide relief for many different types of patients, because it has a diverse range of medical applications. Countless studies published in peer-reviewed, international medical journals over the past several decades have observed quantifiable effects upon patients suffering from a variety of conditions, ranging from improved appetite, to decreased pain levels, to improved ability to sleep, to greater physical mobility. 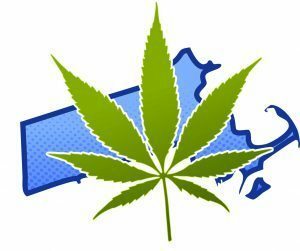 Massachusetts’ medical Cannabis program is administered by the Massachusetts Department of Health and Human Services, Department of Public Health (DPH). The DPH is guided by medical marijuana legislation consolidated under Chapter 369 of the Acts of 2012, otherwise known as the Act for the Humanitarian Medical Use of Marijuana. At Inhale MD, we keep our process simple so that patients can get treatment as soon as possible. After you provide us with your contact information, which you may do by calling our office, using our contact form, or sending an email to [email protected], you will need to fax us your medical records from the last 12 months, using the number supplied above. To keep it simple, please send a summary note from your provider that talks about your chronic medical condition, a problem list, and a medication list. You can find a medical records release form on our website here. Additionally you’ll find a patient questionnaire here that we need you to complete and send to us along with those medical records. After we receive your records and intake questionnaire, we will assess your records free of charge to determine whether you are a suitable candidate for medical marijuana. If we determine that medical Cannabis is appropriate for your condition, we will contact you promptly to schedule an appointment. When you arrive for your appointment, Dr. Tishler will spend significant time assessing your needs and discussing the best ways for you to use medical Cannabis for your health. After the visit, you will be issued a patient certification through the DPH, whose online system you must register with. State law requires us to schedule follow-up visits with patients every six months. At that time, we will assess your progress and level of discomfort to determine whether your dosage should be increased, decreased, or maintained. If you or one of your loved ones is living with a serious medical condition, medical Cannabis may be able to help provide additional relief in conjunction with conventional treatment. Don’t worry if you aren’t quite sure whether your condition is eligible, or if you don’t know anything about Cannabis and aren’t sure where to get started. That’s exactly what Inhale MD is here to help you with. We will guide you through every step of the process, so that you can feel confident you are making informed decisions about your personal healthcare. To talk about whether medical marijuana could be right for your condition in a private and completely confidential consultation, call Dr. Tishler at (617) 477-8886. Inhale MD is open from 9:00 A.M. to 5:00 P.M. Monday through Friday. Feel free to leave a message after hours, and Dr. Tishler will return your call the following business day.